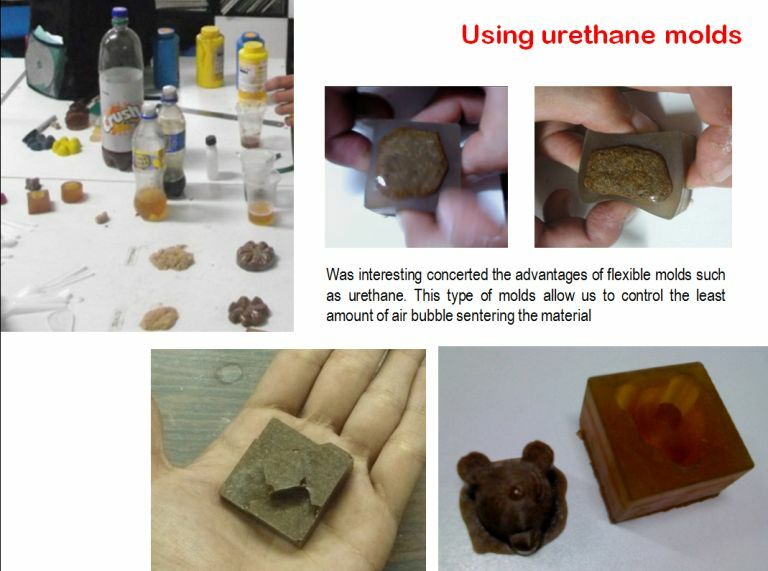 This week we made ​​several experiments in search of the ideal compound for our 3d printing machine. 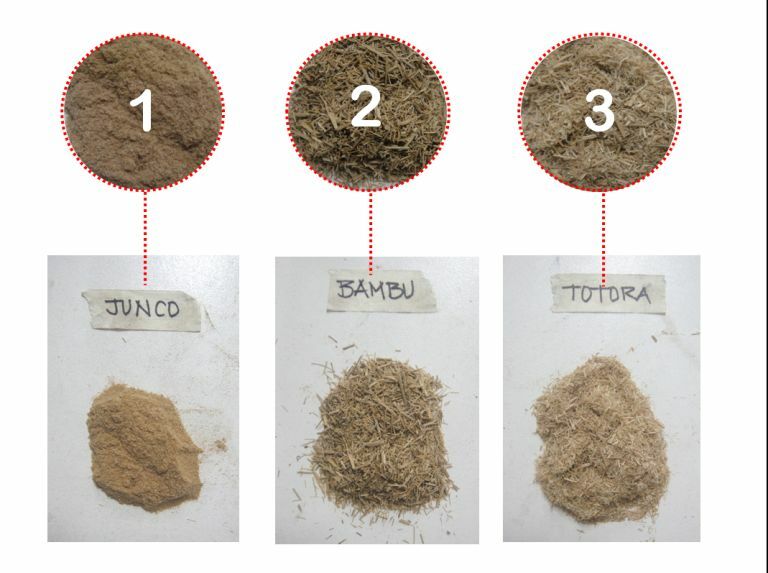 The organic compounds are basically: bamboo, totota,junco and clay. 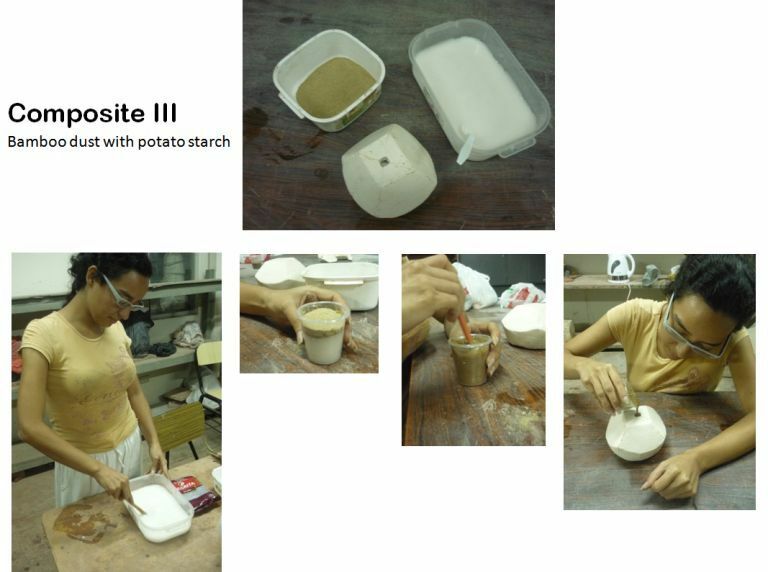 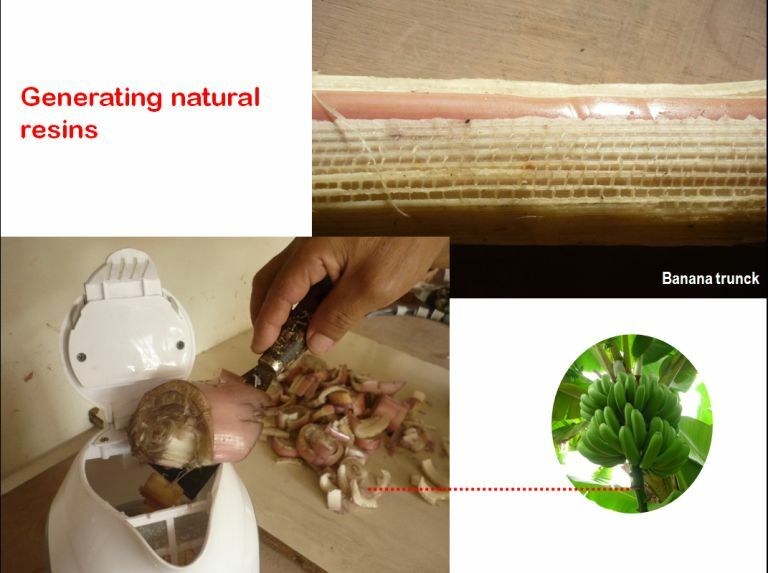 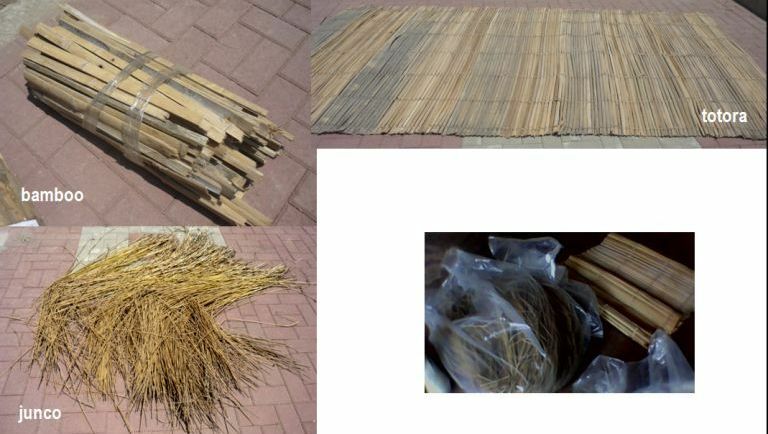 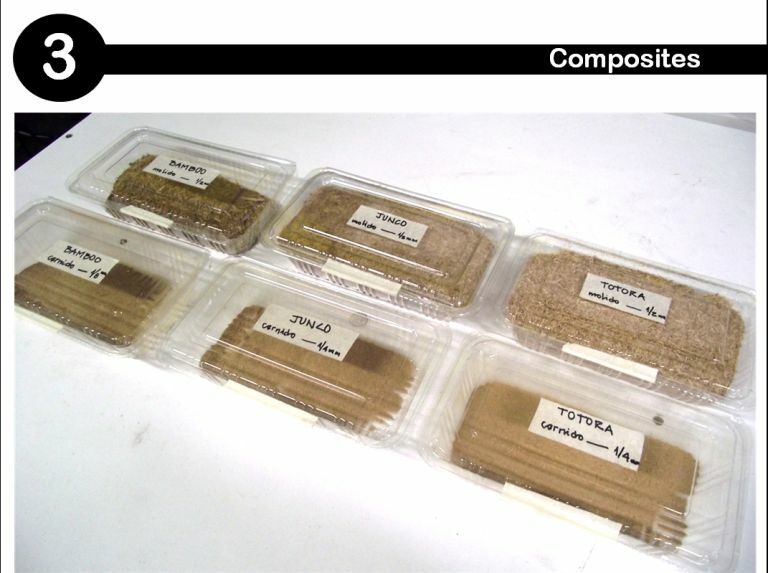 Also we tested it with some natural binders such as resin banana and cassava starch. 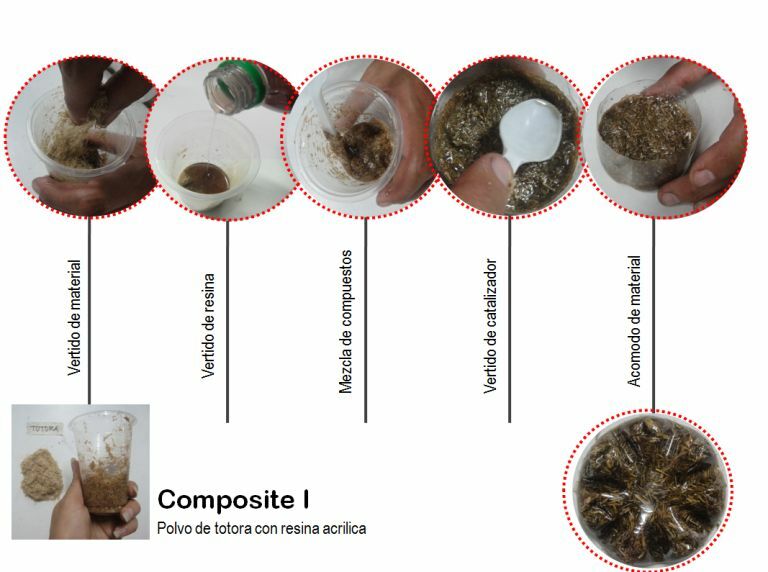 For this task emphasized the testing of organic compounds. 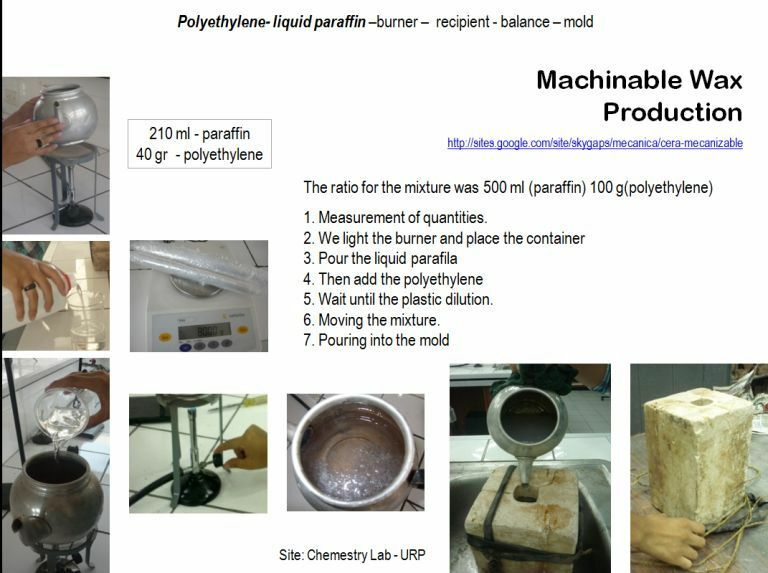 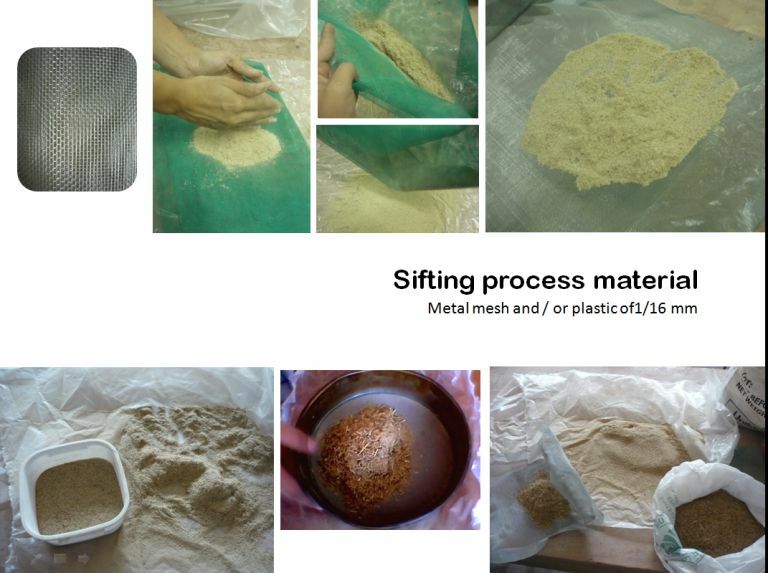 The most important process was the selection, milling, sieving and the preparation of compound suitable for use as an ingredient for the 3D printing machine. 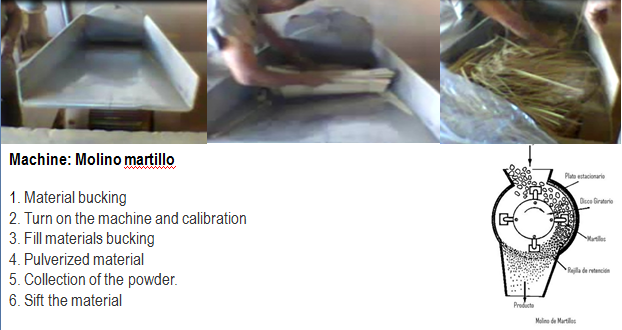 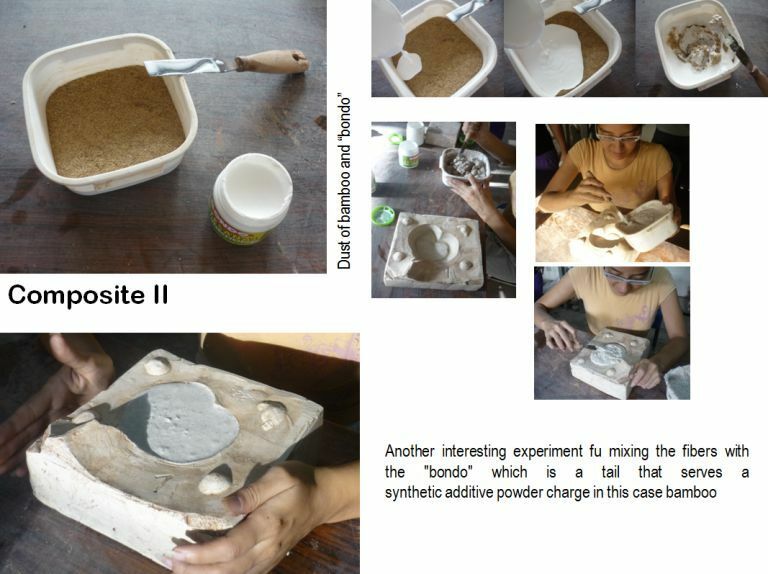 Were also made plaster molds that were used for casting. 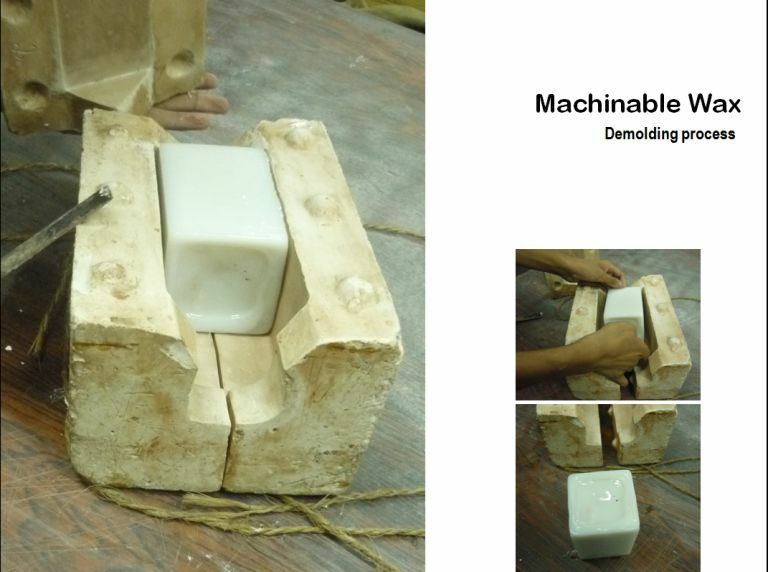 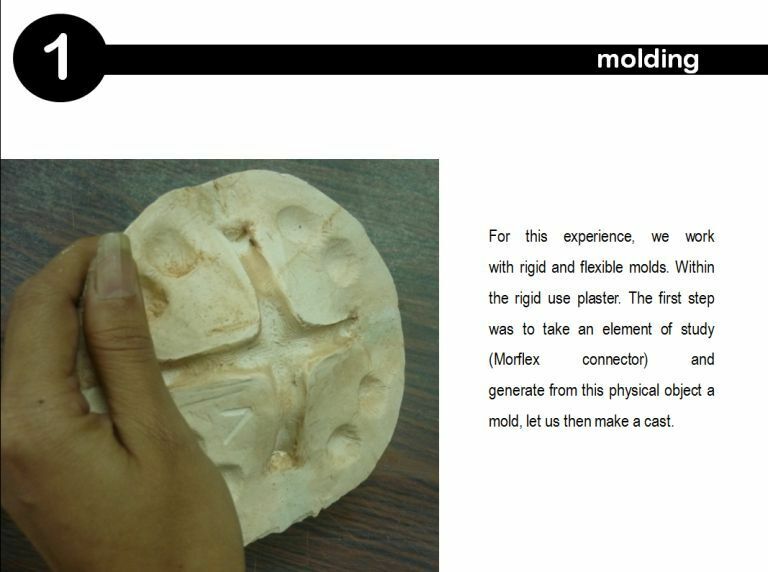 Additionally we used flexible molds generated ​​from the Roland Modela. 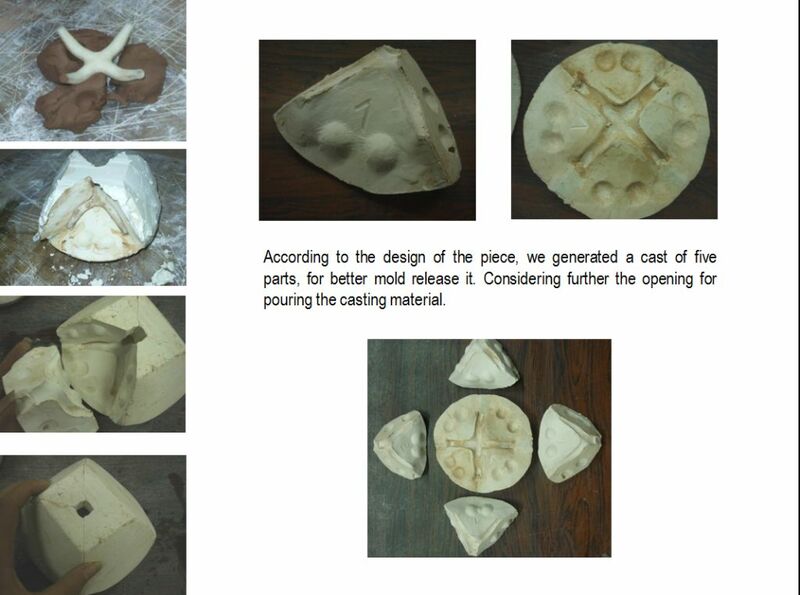 These molds were used as a reservoir for the test compound.